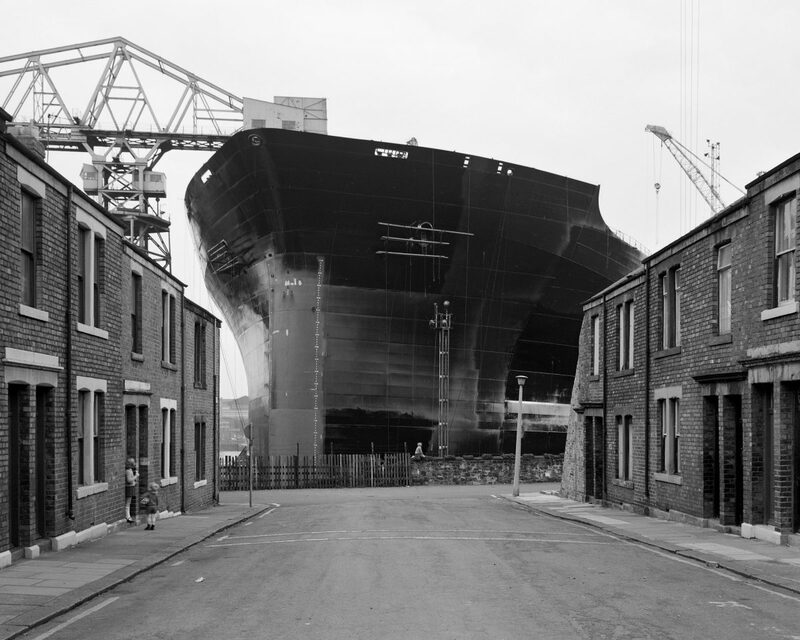 Chris Killip’s photographs of shipbuilding on Tyneside show us hulking ships and industrial cranes as backdrops to everyday life in Wallsend and South Shields. 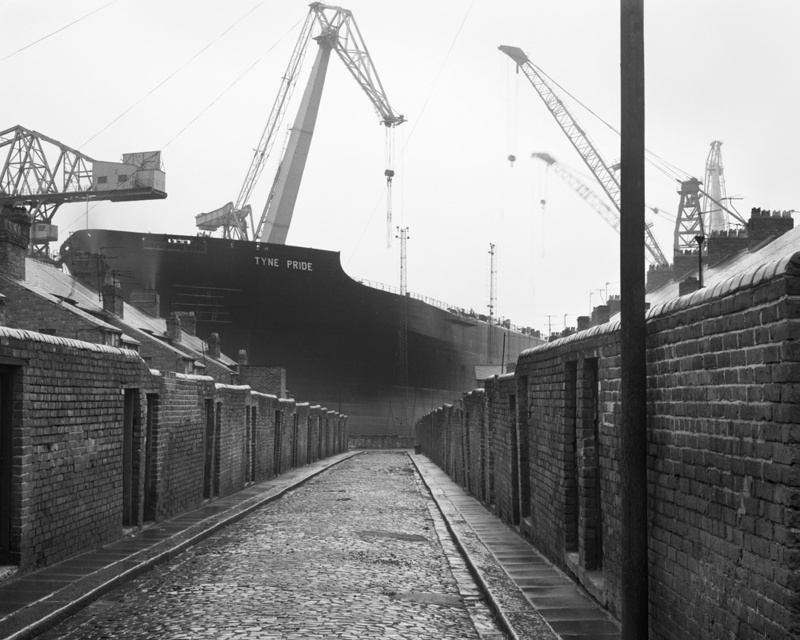 The ship Tyne Pride, which he photographed in 1975, was the biggest ship ever built on the river, but also one of the last. 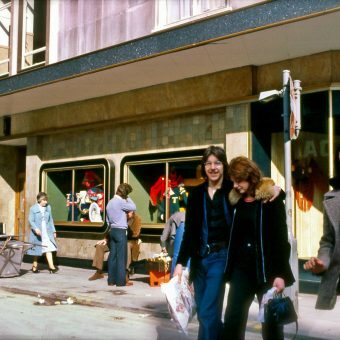 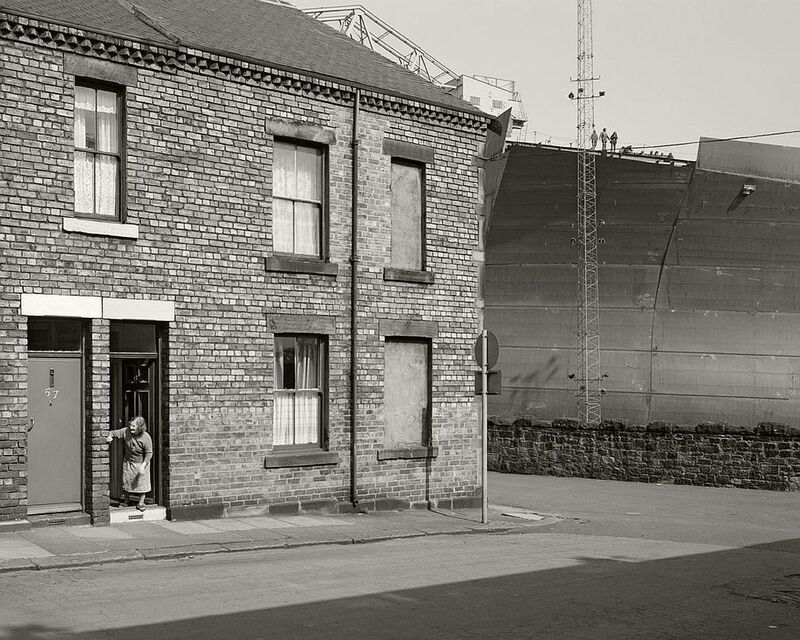 “Even then I had a sense that all this was not going to last,” he says, “though I had no idea how soon it would all be gone.” In an early photograph, Tyne Pride looms over children playing in the street. 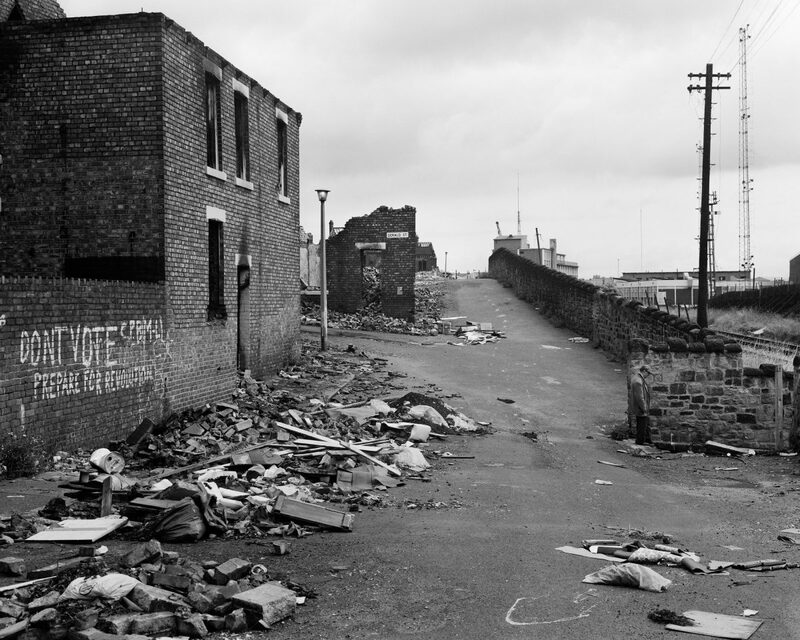 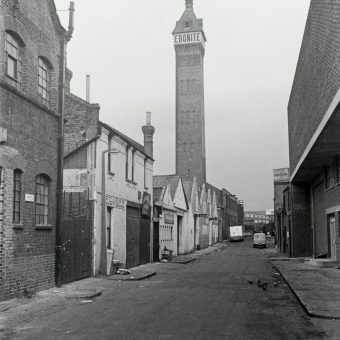 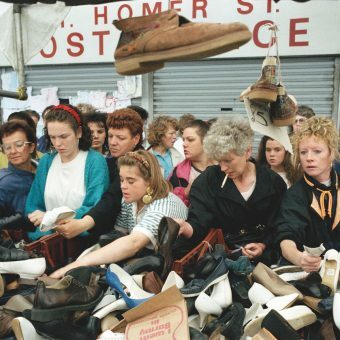 Only two years later, another photograph shows the same street demolished, dramatic evidence of the industry’s decline. 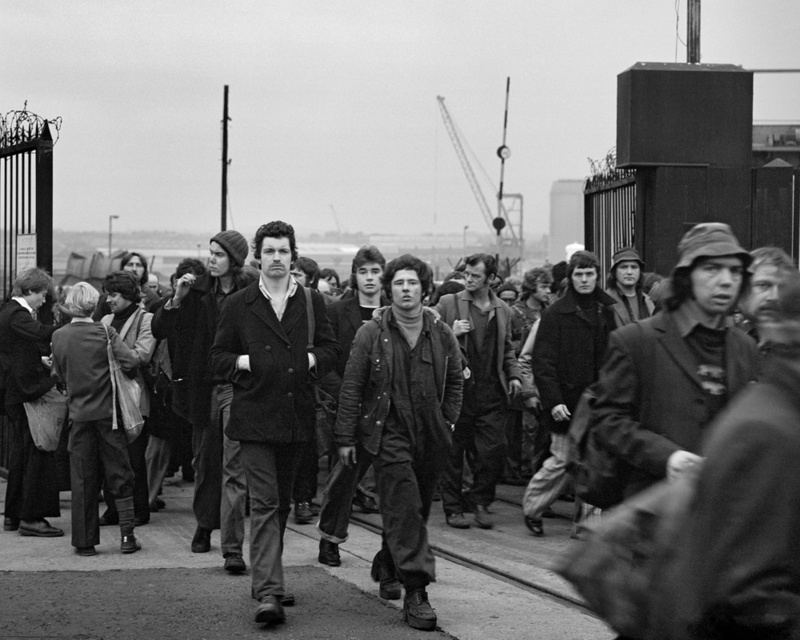 Other photographs capture the energy of the mid-1970s, with ships under construction and shipyard workers streaming out of the gates at the end of shift. 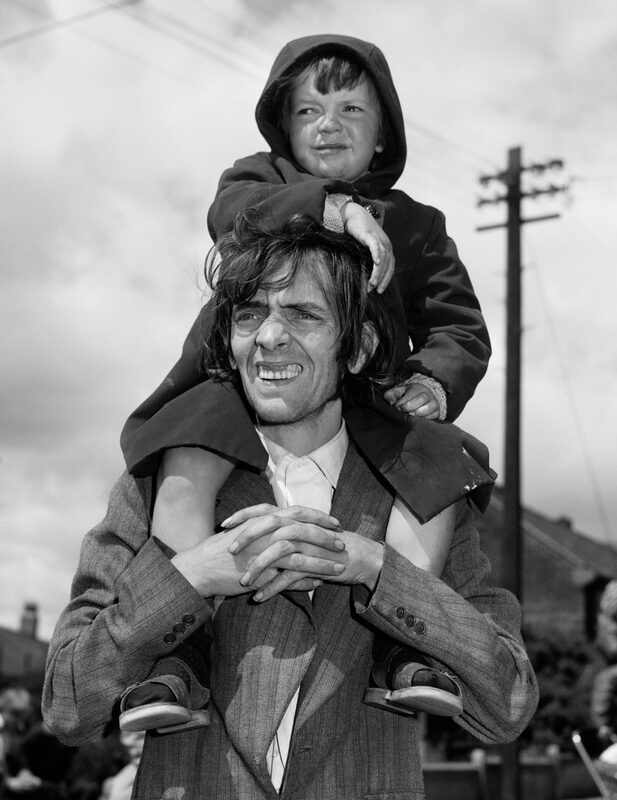 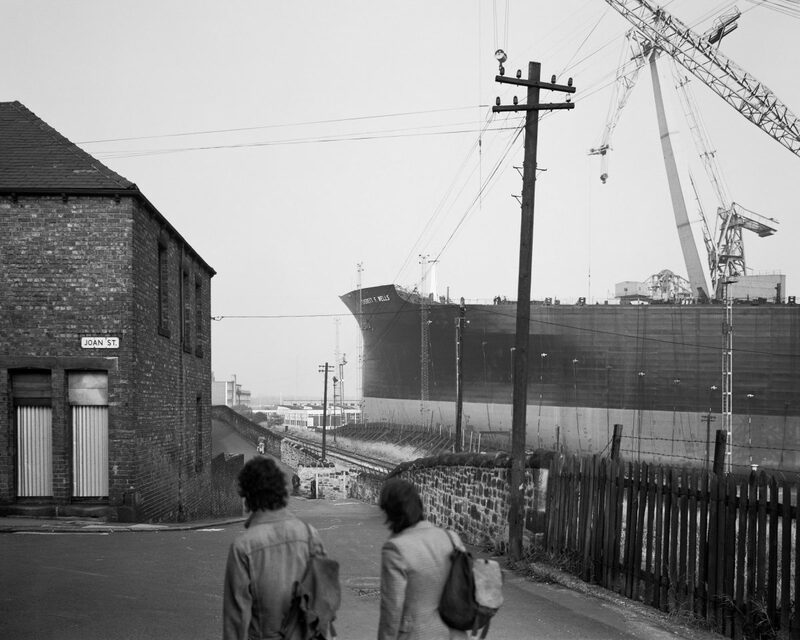 Chris Killip (born 11 July 1946) has given this set of exhibition prints to Newcastle Laing Museum in honour of the shipyard workers of Tyneside. 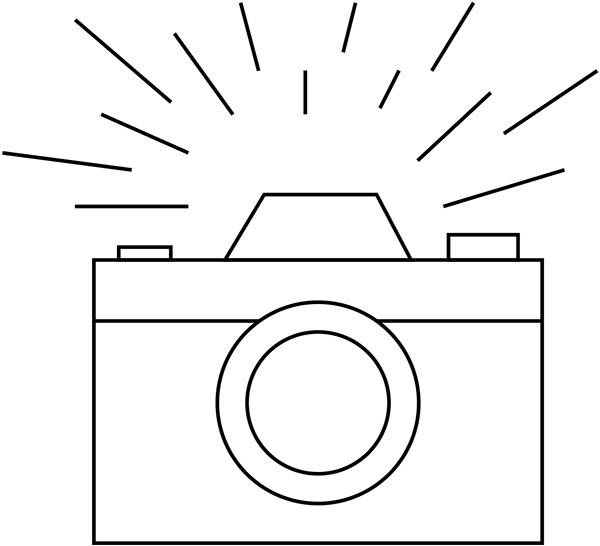 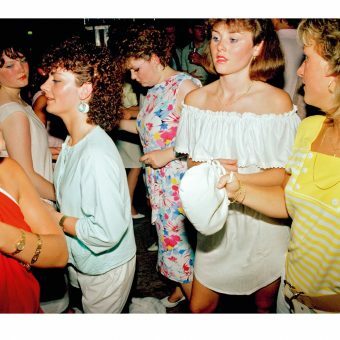 You can see more of Chris’ work in his book, In Flagrante. 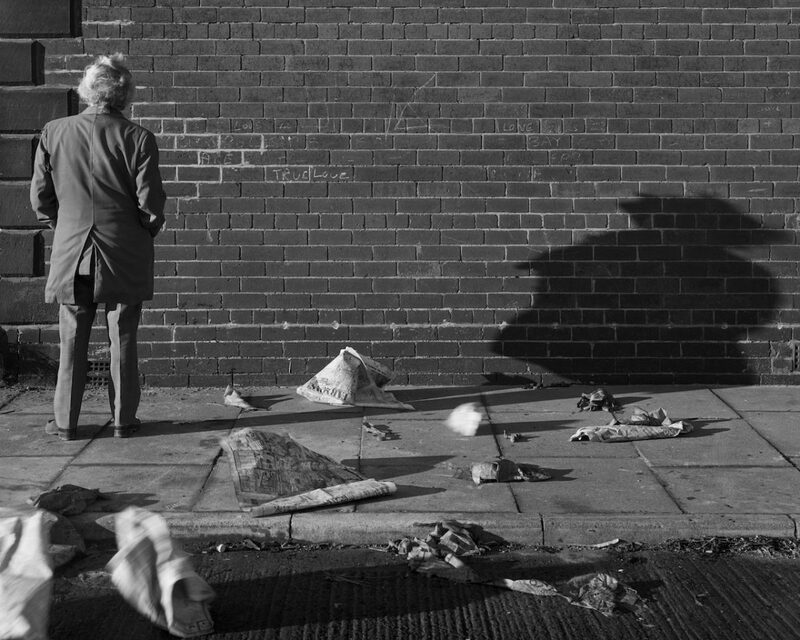 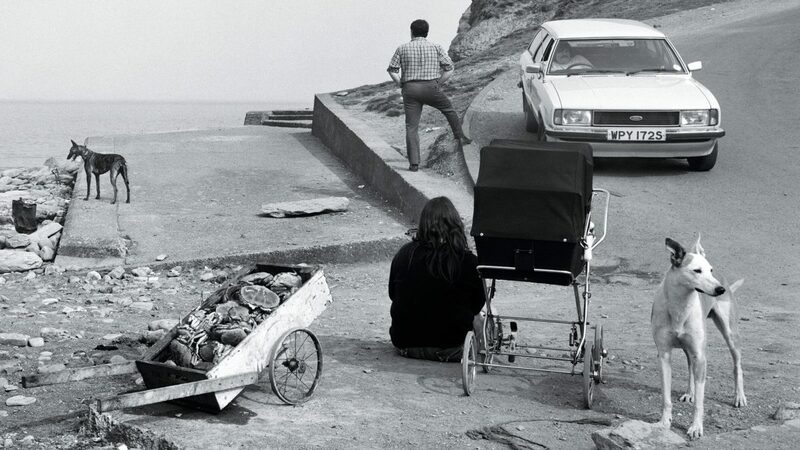 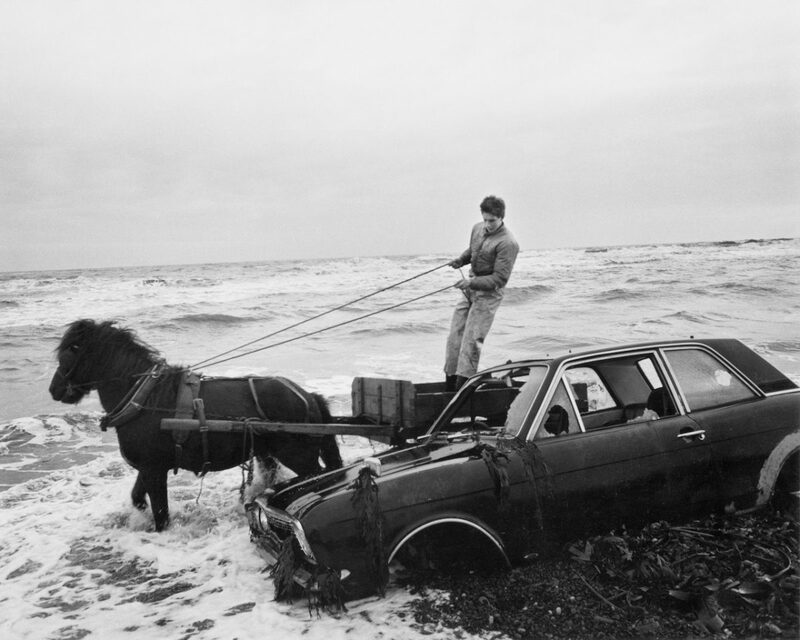 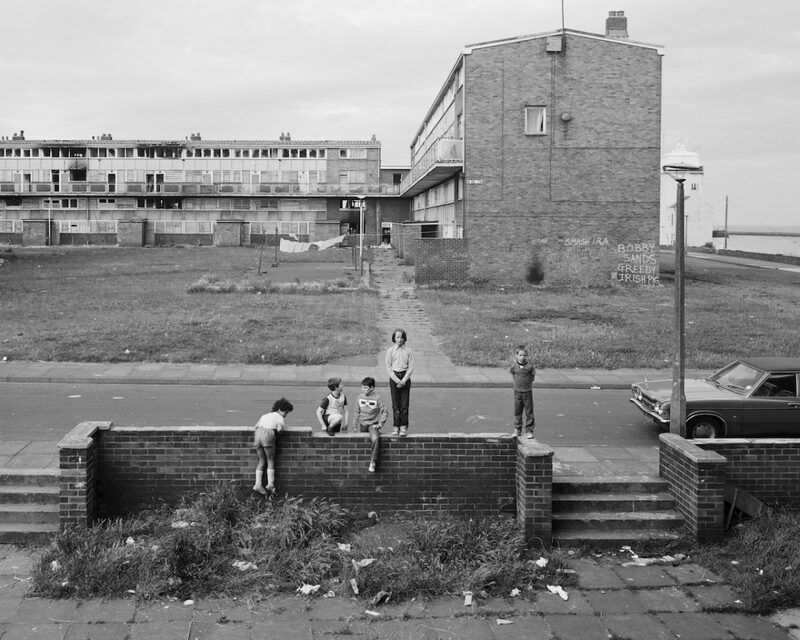 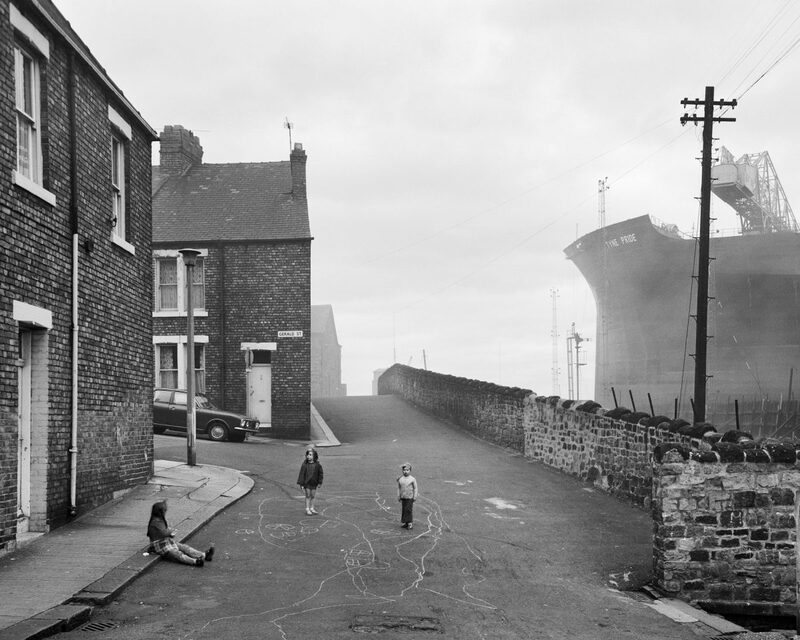 Via: Newcastle’s Laing Art Gallery, where Chris Killip: The Last Ships is on display until 4 May 2020.